The £100m deal between Liberty House and Tata Steel UK for the Speciality Steels business has been welcomed. Following a period of due diligence, the sale agreement has been signed and covers several South Yorkshire-based assets including the electric arc steelworks and bar mill at Aldwarke and a mill in Brinsworth, both in Rotherham, and the steel purifying facility in Stocksbridge in Sheffield. John Healey MP, whose Wentworth and Dearne constituency includes the Aldwarke site, said: "It's great news to get the thumbs up from the Tata board for this sale. It should be a big step in securing steel-making in South Yorkshire for the long-term. Liberty House have pledged the investment, jobs and marketing that can continue Specialty Steel's success. "2016 was an awful year of job cuts and uncertainty in Tata but the sale agreement means steel-workers and their families can start to see light at the end of the tunnel during 2017. "Now I urge both Tata and Liberty to work flat out, with the unions, to complete the sale and restore confidence in our Rotherham and Stocksbridge steel plants. "We will also press the Prime Minister make good on her promise of a new industrial strategy. It's high time that Ministers followed their warm words with action to help our UK steel industry on energy costs, business rates, skills funding and a strong buy-British bias in big government projects. This would be a clear signal to the world that UK steel has a strong future, whatever the economic uncertainties that Brexit brings." 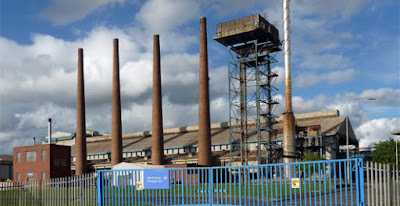 Roy Rickhuss, general secretary of Community, the steelworkers' union said that the sale was "a welcome step forward in securing the future of the Speciality Steels business but added: "However, this is not the end of the process and there is still work to do before the sale is completed. Community has been campaigning for months for longer-term certainty for these highly skilled jobs and we will now engage more directly with Liberty to understand their plan for the business. "The steelworkers concerned produce some of the world's most advanced steel products and we will need to be convinced this sale is in their best interests. We also need to see the government do more to help support the future of Speciality Steels and create an environment in which the whole UK steel industry can survive and grow. "We are continuing to ballot our members in Speciality Steels over the future of the British Steel Pension Scheme and proposed alternative pension arrangements, which, should our members vote to accept the proposals, would transfer over as part of their terms and conditions once a sale is completed."